Johannesburg - It has taken South Africa’s rand exactly nine months -- and a new ruling-party leader -- to claw back the losses it suffered after President Jacob Zuma unexpectedly fired finance minister Pravin Gordhan in March. The rand gained as much as 1.8% on Wednesday to R12.2889, erasing its losses since Gordhan’s dismissal and the highest since July 2015. Gordhan’s dismissal sent the currency plunging 11% in two weeks and sparked a credit-rating downgrade to junk. 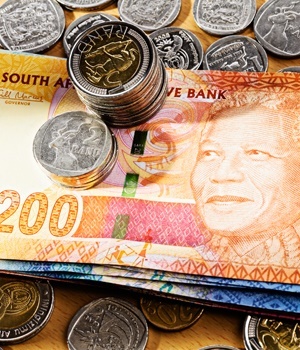 The rand has rallied more than 6% since Cyril Ramaphosa, who has pledged to revive the struggling economy and stamp out corruption, was elected leader of the African National Congress on December 18. That set the billionaire businessman on a path to take over from Zuma as the country’s president. Investors are betting that may happen sooner than 2019, when his term expires, according to Legal & General Investment Management. Members of the ANC’s newly elected executive committee will meet Zuma to advise him to step down in favour of Ramaphosa, Johannesburg’s City Press reported on December 24, citing unidentified people. Ramaphosa beat Nkosazana Dlamini-Zuma, who was backed by the president, to the top ANC position in a closely contested vote. Flows into South African stocks and bonds have soared since the vote. Foreigners bought a net R6.4bn ($516 million) of debt and R13.4bn of equities in the week ending December 22, according to JSE data.